Beautiful brown and white Chilean pinto with gorgeous fiber. His crias all have interesting markings, beautiful fiber with lots of crimp and luster, and all posess Dasher's proud presence.If you want interesting color Dasher is the man! 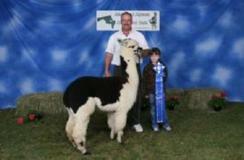 One of his offspring won a blue ribbon at MAPACA 2005 and another won a blue ribbon at PAOBA 2005. Wonderful first time mother.she has abundant true black ,lustrous fiber.gentle,calm disposition,a real sweetheart ! 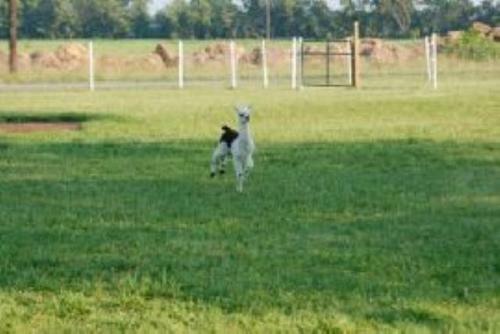 Annie is the first cria being raised on our farm, and she has been the farm favorite ever since she was on the ground. 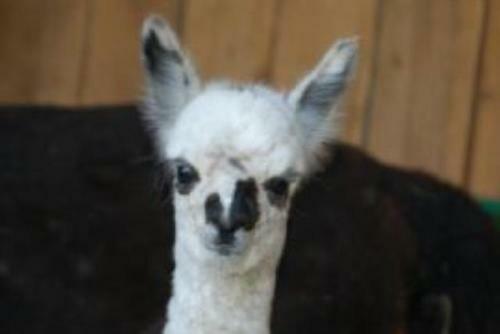 She has a super disposition to go along with her perfect conformation and excellent fleece. 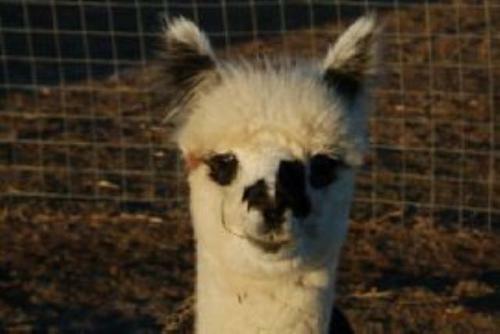 She is a very striking alpaca and is always noticed first by visitors to our farm. The judge at the MD show said she was a "True standout in her class."